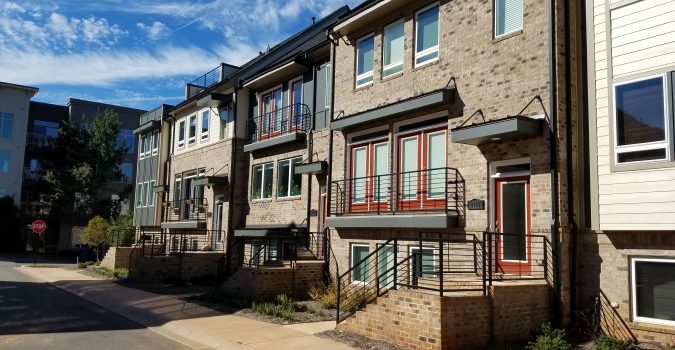 Revitalization of older urban neighborhoods, including converting commercial and industrial sites to residential, will continue in most American cities. 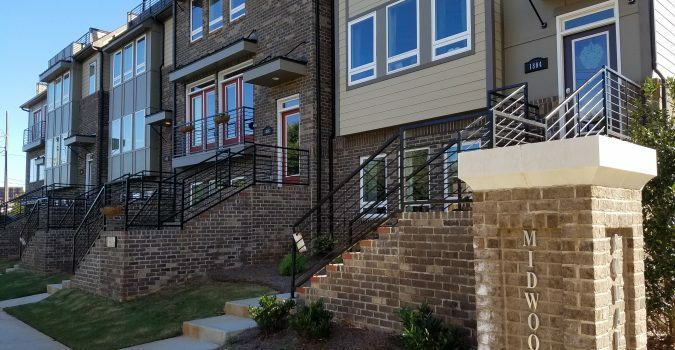 Cities like Charlotte, which are building new mass transit systems are among the areas with the fastest growth of urban infill projects. 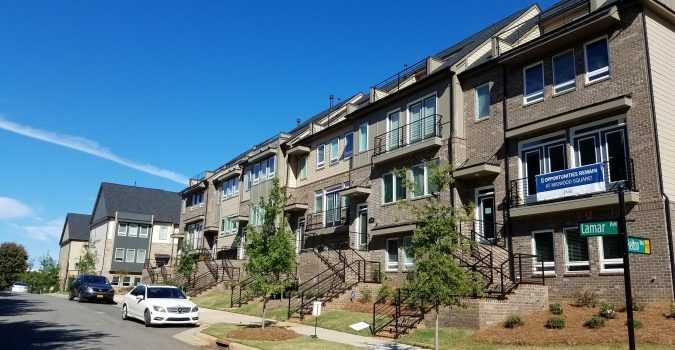 American Engineering completed civil & structural engineering design for a 34-unit, the upscale townhouse development in Charlotte’s Plaza Midwood neighborhood. 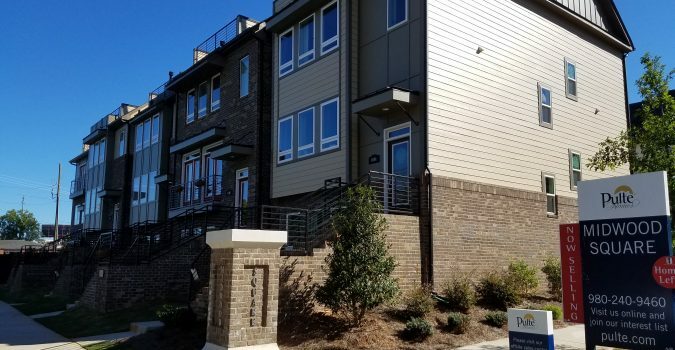 Pulte developed this unique property in one of the hottest markets in the Queen City. This infill site did not start as a teardown of a small house sitting on a big empty lot but instead was an existing industrial property with complex existing structural components. The engineering design was complicated by the fact that the property was bordered on one side by an active CSX rail line (with the right-of-way immediately adjacent to the previously existing buildings), on another side by an 8-lane highway, and on a third side by another industrial building which had a structurally shared wall with the building our project planned to develop. 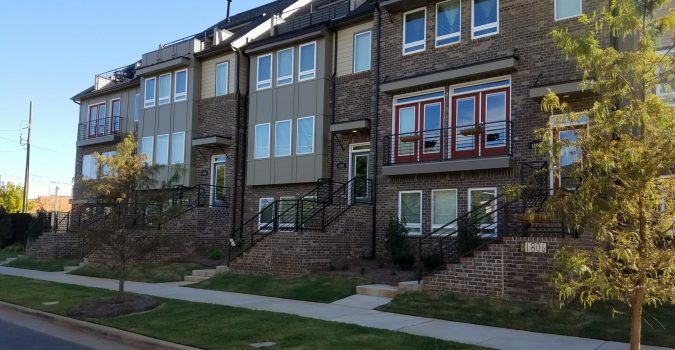 All of this came with trying to fit 34 townhomes on just 3 acres. Despite the challenges, American Engineering was able to quickly and efficiently engineer and permit the site, which was very successful for our client.